Physical vs. Energy Body: As a rule, our species is very dim-witted. If we can smell it, see it, touch it, hear it or taste it, then it is real, if not, then it simply doesn’t exist. Recent advances in our technology and science have proven that there are many things that are beyond our immediate perception. We don’t have to understand them totally to acknowledge their existence or to use the information we do have. We don’t need to know all the details on how the TV gets a picture and sound, or how that email message gets to the other side of the world almost instantly. It is enough that we know it works and how to turn it on and use it. Our physical body is interwoven and dependent on our energy body. When the life force energy leaves the body, all that is left is a pile of decomposing matter, which is rapidly recycled back into the earth. Auric Field: The energy currents flowing through us create a charged field outside of our physical body as well. This auric field is composed of several layers and is of variable thickness. It is usually palpable within a couple inches of the physical body. Some people can visualize it and detect color flows. There are now cameras that can capture and colorize the auric field on film. Kirilian photography is becoming quite popular and is readily available at many festivals and events. The aura, or subtle body, connects directly with the physical body in many locations. These areas or vortexes are called chakras. 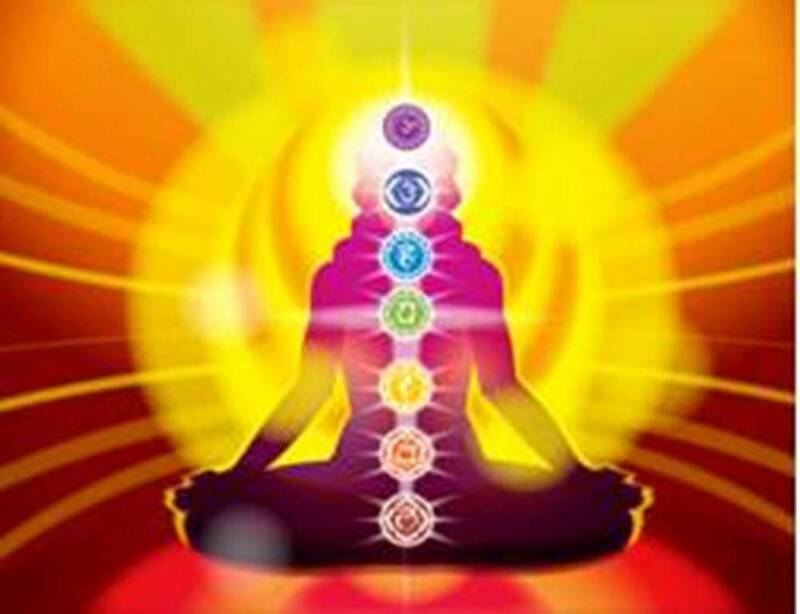 There are numerous minor chakras, but generally speaking, only 7 major chakras are recognized. The chakras act as transformers, converting the energy field into current usable by the body. Chakra Connection: There have been many books written on the subject of the chakra system. The energy channels have been mapped, diagrammed and various opinions argued extensively. This is merely a brief overview on the most commonly accepted principles. The normal flow of kundalini energy is multidirectional. Just as blood vessels run throughout our body, so do the kundalini channels. The larger “arteries” run through the torso in a simultaneous, vertical, spiraling pattern connecting the major chakras. The smaller channels feed into and out of this mainstream flow. Each chakra serves a specific purpose and controls different aspects of our emotional body. They are interfaced with the physical body through the endocrine system and each chakra correlates with a particular gland of that system. They are each represented by a different color of the light spectrum. Interestingly enough, the levels also correspond to our evolution as a species and with modern psychological theories of hierarchal development. Root – The root chakra is our primal center. Associated with the adrenal glands and represented by a dark red or red-brown color, it is centered in the perineal area and extends down the legs and through the feet. The root chakra helps regulate the excretionary systems. It is our connection to the earth and is the grounding control center. It also moderates our survival instincts. The ‘fight or flight’ response and many other reflexes are instinctively triggered through the root chakra. A blocked or unbalanced root chakra can result in self-destructive behavior, panic disorders, depression, anger problems, and other base emotional difficulties. Physical problems manifested include many renal and metabolic disorders, as well as myriad psychosomatic symptoms associated with the above problems. Sacral – The sacral chakra is the creative center. It is located in the suprapubic area, midway between the navel and pubis. Directly connected with the reproductive organs, this chakra influences sexual behavior and preferences, our ego (or sense of self), and interpersonal relationships, and is represented by a fiery, orange-red color. This sacral chakra energy manifests as passion in both a sexual and artistic/creative manner. It stimulates mating behaviors and physical responses to sexual stimuli. Problems with this chakra frequently stem from any type of abuse, indoctrinated social mores and sexual inhibitions and may manifest in numerable ways. Issues dealing with fertility, reproductive organs, and general creativity originate here, as well as, emotional issues concerning love, self-esteem, parenting roles and relationships. Solar Plexus – The third chakra is the processing center. Found just below the xyphoid process, over the stomach, it is associated with a bright yellow-gold color, like a sunflower. The solar plexus is concerned with organizing information, rational thought and critical thinking skills. An unbalanced energy flow through this chakra can be detected in many cases involving psychiatric problems. On an emotional level, trust issues, controlling or manipulative behaviors, social responses and stress management are the most commonly seen problems. Less serious issues dealing with career choices, academic work, problem solving, finance management, etc. are often associated here. Physically, the processing center controls the digestive through the pancreas, liver and spleen. These organs deal with nutrient processing, digestion and purification. (Hence, the correlation between stress and ulcers.) The potential list of diseases and problems caused by an out-of-kilter SP chakra is extensive! Heart – The fourth or heart chakra is the balance center. Physically, the heart chakra is located in the mid-sternal area, is connected to the thymus gland and associated with the color green. It represents the transitional point between the physical, material, animal world and the spiritual, ethereal, energy world. Influenced equally by the chakras above and below, it is the point at which we can become spiritual beings instead of merely physical animals. Many people never grow into or beyond this point. The heart chakra ideally takes the instinctive animal emotions of the lower chakras and combines them with the essence of Divinity, converting those emotions into love. Not the mundane, lustful, infatuous, possessive, jealous type of emotion that many people think of as love, but rather a purer strain of love, in the form of compassion. Compassion is selfless and unconditional love for others. It is usually the motivation found in healers, caretakers and spiritual emissaries. Compassion is what allows us to look outside of ourselves and see the Divinity in others, to recognize that life is very special and worthy of our respect and devotion. Problems rooted in the heart chakra are usually balance issues, i.e. balancing the physical needs with the spiritual needs, trying to determine where to draw the line between selfless compassion and one’s own needs. Improper balance contributes to problems with relationships, co-dependence, addictions, and, in severe cases, psychosocial aberrations. Physically, the heart chakra also maintains the body’s homeostatic mechanisms. It regulates the circulatory system, vascular and hematology systems and the immune system. Heart disease, hypertension, anemia, and cancer are just a few problems that can be approached via the heart chakra. Throat – The throat chakra is the expression center. Located in the throat, it is connected with the thyroid glands, and is associated with the color blue. It also regulates the respiratory system. Most people have some degree of difficulty in this area! In today’s society we are often taught such things as; “keep your thoughts to yourself,” “speak only when spoken to,” “be seen and not heard,” etc. and frequently avoid speaking up for fear of rejection or retribution. Speech is only one method of expression, but it is the one most readily available and linked the closest with the throat chakra. The breath of life must pass through the throat chakra to get to the lungs and pass back through in the expression of speech. Repression of speech can lead to emotional problems. Blockages in the throat chakra can result in frustration and discontent, due to the inability to ventilate and/or express our creativity and emotions. This can reverberate through our whole system and usually finds release in another form such as anger or depression. The thyroid glands regulate our basal metabolism, which in turn affects the entire body. Physical symptoms indicative of throat chakra trouble may include unusual or persistent weight gain or loss, insomnia, lethargy, hot/cold intolerance, general malaise, fatigue, emotional turbulence, etc. Brow – The sixth, or brow, chakra is our psychic center. Located in the mid forehead area, this chakra stimulates our intuition and perceptions of the world around us. It is linked through the pituitary and hypothalamus glands and is generally viewed as purple or violet in color. Long known as the “third eye”, the brow chakra is our wormhole to the astral level. It allows us to see, hear and understand the patterns of energy that exist on the astral plane before becoming concrete in the material plane. It provides for spiritual insight and wisdom. Activity through the brow chakra is sometimes viewed as ESP or paranormal. In truth, it is the perfectly normal and seldom recognized methods we use every day. It manifests in simple acts such as two people trying to call each other at the same time, or waking up in the middle of the night knowing that your child is sick, or suddenly changing plans that otherwise would have ended up in a negative outcome. Diagnosticians use intuition all the time without thinking about it. It also enables us to “read” people and feel good or bad “vibes”. Obviously, any imbalance in the brow chakra will affect many life skills and abilities. The pituitary and hypothalamus glands co-act as the master endocrine gland and regulate the maturation and function of the whole body. Crown – The seventh, or crown chakra, is our connection center. It connects us spiritually with the Universal Life Force. The crown chakra also acts as our physical connection to that same life force. When this connection is severed, our physical life ends. As it’s name implies, the crown chakra is located on the top of the head. In infants, the crown chakra corresponds to the anterior fontanel, or ‘soft spot’. It is associated with the pineal gland and the color white. Little is known in the medical field about the pineal gland but it is known that it produces chemicals that act as neurotransmitters. The most commonly known one would be melatonin, which is directly affected by light and controls our sleep cycles. The crown chakra controls and regulates the neurological system. Blocked or unopened crown chakras tend to manifest more as spiritual or psychiatric problems rather than physical. It is impossible to feel part of the whole cosmic experience with an imbalance in the flow of energy through the crown chakra. Hormonal Connection: We have discussed the chakras and their connection to the endocrine system. There is an important correlation here. Our thoughts, feelings and beliefs originate in our energy body and are translated by the chakras into the chemical language of the physical body via hormones. That is why we feel emotions with such intensity and why, when our hormones are out of order, we experience emotional turbulence. The sexual hormones are especially prone to causing emotional outbursts, but even with the digestive hormones, i.e. insulin, erratic production causes moodiness and irritability. Keeping our subtle body healthy and balanced has a direct effect on how good we feel physically, mentally, and emotionally.